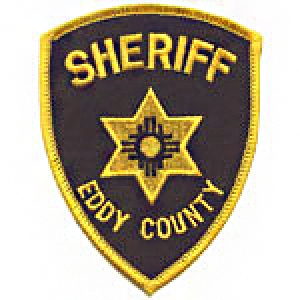 A five-plus-hour standoff between a male suspect and the Eddy County Sheriff’s Office ended peacefully Wednesday and resulted in an arrest. ECSO deputies were dispatched between 8 and 8:30 a.m. Wednesday to Hope in reference to a disturbance that turned out to be domestic in nature. As deputies were approaching the location, they were spotted by a male individual later identified as Danny Murray, approximately 35 years old, who proceeded to barricade himself inside the home. ECSO Lt. Matt Hutchinson said due to the severity of the alleged crime and the possibility of Murray having access to a weapon, the ECSO Tactical Response Team was called to the scene and was able to prompt Murray to exit the home without incident around 1:45 p.m.
Murray was charged with false imprisonment, battery upon a household member, criminal damage to the property of a household member, and resisting, evading or obstructing an officer. Hutchinson said the victim in the case had allegedly been previously held against their will in the home but was able to exit and make their way to safety while Murray’s attention was diverted by the arrival of the ECSO. As of Wednesday evening, Murray was being held without bond at the Eddy County Detention Center. He made his first appearance before Judge Jimmy C. Foster Friday morning in Artesia Magistrate Court.